Pores. Airbrushed magazines and Instagram filters may lead you to believe otherwise, but everyone has them. Just like most everything else on your body (sorry, appendix), they do serve a purpose. Hint: Their purpose is not to make you obsess over them in a 10x magnifying mirror. Pores actually exist for a good reason. These small openings give your body a way to flush out toxins, regulate body temperature, and naturally moisturize the skin. The two main contributors to their size? That would be genetics and age, two things you can’t exactly control. Still, if the size of your pores bothers you, you’re not alone. According to research conducted by Harris Poll for L’Oreal Paris, nearly half (45 percent) of American women wish they could change the size of their pores, and about a third are more concerned with pores than with wrinkles. If you want to make your pores less noticeable, there are a few things you can do. Renowned dermatologist Dr. Nicholas Perricone says the emerging field of nutrigenomics may help us change the way our genes are expressed by simply manipulating aspects of diet and lifestyle. To help treat large pores and other skin problems from the inside out, he recommends an anti-inflammatory diet that replaces sugary, starchy foods with ones that are rich in Omega-3 essential fatty acids and vitamin B2. Bonus: These nutrients also help combat the effects of stress, which has been known to produce a clogged pore or two. When sunlight hits, it compromises the collagen and elastic tissue in our skin (that’s what keeps it firm and tight). According to the American Academy of Dermatology, “The more sun damaged your skin, the less firmness it has. When skin starts to lose its firmness, pores look more noticeable.” Their recommendation is to apply a broad-spectrum day cream or sunscreen with SPF 30 or higher every single day to prevent sun damage and pore expansion. Common makeup ingredients, including emulsifiers like cetyl acetate, isopropyl linoleate, lanolin, lauric acid, and myristyl myristate can actually clog pores and make them more noticeable rather than cover them up. 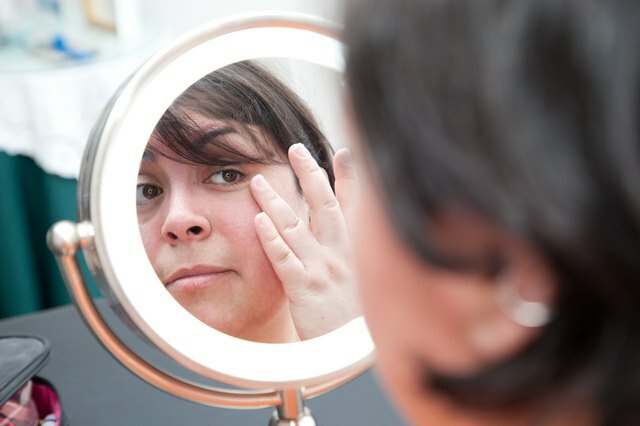 Dr. Mona Gohara, associate clinical professor of dermatology at Yale School of Medicine, says, “You’re better off applying lighter layers of a powder-based makeup instead of heavier products.” A matte-finish noncomedogenic primer can also provide a cosmetic blurring effect to camouflage large pores. 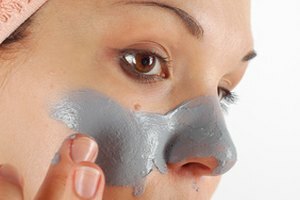 A lot of products that claim to reduce pores actually have harsh or abrasive ingredients that only make things worse. Your best bet for reducing the appearance of pores is topical retinol, a.k.a the golden child of the skin-care world. A 2015 study in the Journal of Cosmetic Dermatology showed that women who used retinol every night for three months saw considerable improvements in their pore size (and in wrinkles, mottled pigmentation, and photo-damage too). You can also try a topical with alpha lipoic acid, DMAE, niacinamide (vitamin B3), or beta hydroxy acid, which all work to tighten and unclog pores. Topicals like retinol can make pores appear smaller. Prescription drugs like Accutane can temporarily shrink them (while you’re actively on the medication). However, the only long-lasting fix for large pores is an in-office laser treatment by a board-certified dermatologist. “You can shrink pores permanently with non-ablative laser treatments such as Medlite and Genesis and multiple Fraxel sessions,” says Dr. Debra Jaliman, dermatologist and author of Skin Rules. Does that sound a little extreme? Maybe so, considering that a well-rounded skin-care routine (and giving yourself a little grace) can go a long way toward improving how you look and feel. After all, every body needs pores—about 5 million of them, to be exact. American Academy of Dermatology: What Can Treat Large Facial Pores? Pathway Genomics: What is Nutrigenomics?